Let the kids know you don't want them peeing in you pool. 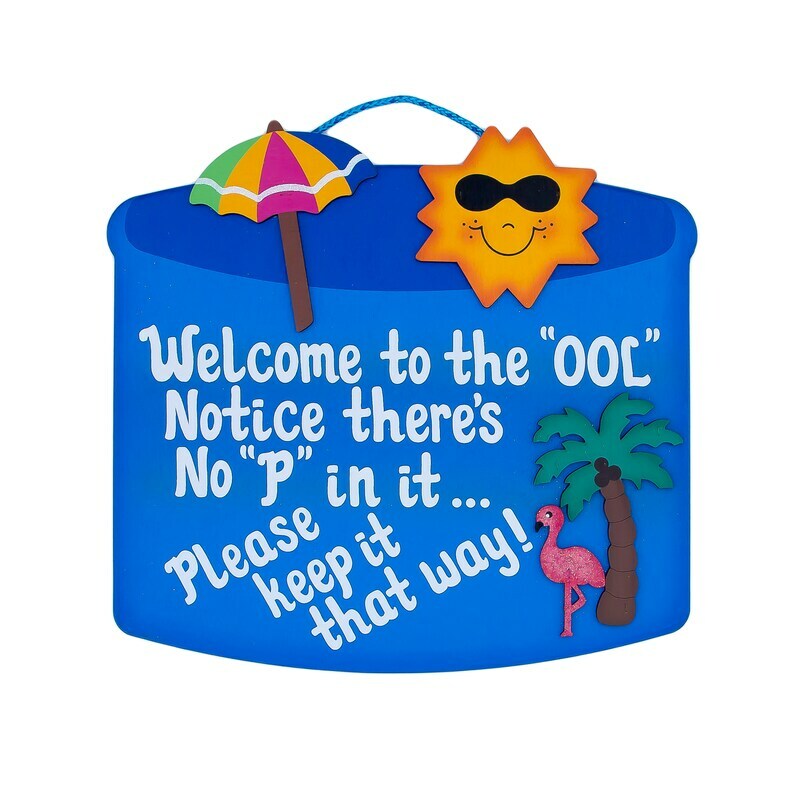 Display this handmade sign next to your pool, and you will be sure to get some laughs from you family and friends! Pool sign is made of wood. Pool sign is painted with light blue exterior paint, which makes this pool sign completely weatherproof. Sun, umbrella, flamingo and palm tree are also separate pieces of wood, that are attached to pool sign.